David Moreau has taken over part of his octogenerian grandfather’s wine domaine in Santenay in Côte de Beaune, beginning with the 2009 vintage. Prior to that David has worked with Olivier Lamy and Domaine de la Romanée Conti, as well as doing a stage in New Zealand at Neudorf. David is beginning with 5 of the family’s 9 hectares and suffice to say that significant changes in both viticulture and vinification have been made compared to the ancien regime. The vineyards were almost all planted in the 1960s, so David has old vines to work with. They are mostly pruned by cordon royat to minimise vigour, and the land is either ploughed or left with grass depending on the circumstance of a given plot. One of the outstanding vineyards of the Santenay appellation, Clos Rousseau produces deep-coloured and powerful wines. David’s 2017 has an intense and sweetly spiced perfume with some floral touches courtesy of the inclusion of a good proportion of stems. The palate delivers rich, dense fruit which envelops the firm, chalky tannins. Drink 2020-2025. Our other Premier Cru from David is selected as a contrast to the aesthetic lines of the Clos Rousseau. Grown on a 0.8-hectare plot, the initial impressions are of floral and red fruit perfumes, yet the palate is transformed by a delicious and mouth-watering minerality, entwined with ribbons of sweet cherry. The vineyard was wasteland until the 1960s, the last to be planted due to the challenges of farming the site. David’s grandfather saw its potential and so this wine has a place close to his heart. Drink 2020-2027. 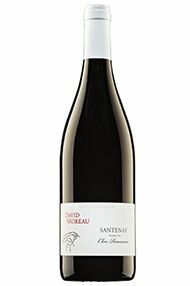 David Moreau took over part of his octogenerian grandfather’s domaine in Santenay in 2009. 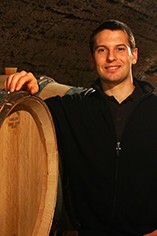 Prior to that, he worked with Olivier Lamy, Domaine de la RomanéeConti, and at Neudorf in New Zealand. David now has seven hectares in production and has made significant changes in both viticulture and vinification. The vineyards were almost all planted in the 1960s, so David has old vines to work with. He will soon become president of the local vine-growers syndicat	a measure of the regard in which he is held. Once again, David is very happy with this year’s results. There was very little frost damage this far south and all his wines performed well in our barrel tastings. There is a confidence in David’s winemaking that raises expectations for some outperforming wines from this lesser-known part of Burgundy. The purity and transparency of 2016 suits his range very well. 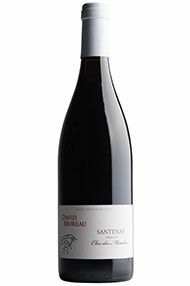 David’s best plots of Santenay, with small millerand grapes, are reserved for this wine. A little lighter in colour than the Maranges, this is approachable with ripe, dense, red cherry notes, but some power behind. It has a certain warmth and weight, filling out nicely through the middle. Drink 2019-2025. 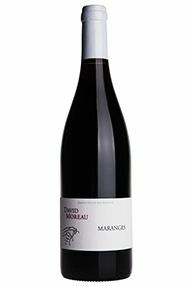 David Moreau is very happy with his 2015s, describing it as a vintage without stress. The grapes, picked from 7th September, were ripe but with acidity in balance and with an adequate yield for once. For the vinification, David used slightly more stems this year in the interest of structure and freshness, with a slightly shorter length of time in the fermentation vats. Very encouraging wines. A dense, bright, dark red with delicious fruit on the nose, this is very classy. The nose is multi-layered with real density. There is a good acid balance to this, with an attractive admixture of new wood (30 percent) giving a touch of liquorice. This displays intensity but neither heat nor undue weight. Very succulent; a winner this year. Drink 2020-2027. From the 2009 vintage, David Moreau took over part of his grandfather’s domaine in Santenay. Prior to that, he had worked with Olivier Lamy and Domaine de la Romanée Conti, as well as doing a stage in New Zealand at Neudorf. David made significant changes in both viticulture and vinification compared to the ancien régime. The vineyards were almost all planted in the 1960s so he has old vines to work with. With its pretty, stylish nose, this is graceful, elegant and nuanced. 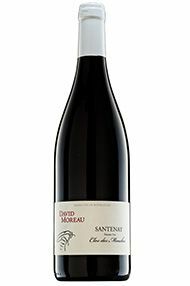 It is a wine of finesse, compared with David’s more muscular, dense Clos Rousseau. This is an exciting new discovery for us: David Moreau has taken over part of his grandfather’s domaine in Santenay and has produced wines there since the 2009 vintage. Prior to that, he had worked with Olivier Lamy and Domaine de la Romanée Conti, as well as doing a stage in New Zealand at Neudorf. David made significant changes in both viticulture and vinification compared to the ancien régime. The vineyards were almost all planted in the 1960s so he has old vines to work with. They are mostly pruned by cordon royat to minimise vigour, and the land is either ploughed or left with grass depending on the circumstance of a given plot. David’s preferred Premier Cru is towards the southern end of Santenay. Glowing purple in colour, concentrated strawberry fruit is enlivened by a firm cherry thread. This is an energetic, heady wine with fresh fruit alongside the power. Drink 2020-2027.